Here is another scumbag that needs a quick date with the Grim Reaper. I am going to judge the book by the cover, would you let this freak watch your child? 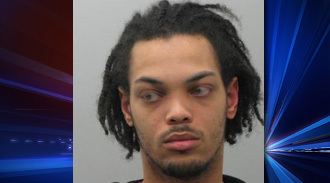 A north St. Louis County man is accused of killing a two-year-old boy. Donye Calvin, 22, has been charged with second-degree murder in the death of two-year-old D’mond Staples. St. Louis County police were called to a home in the 2600 block of Tyrell in North County on Friday afternoon for a report of a sick child. When they arrived, officers found D’mond unconscious. After conducting an investigation, authorities arrested Calvin who was babysitting D’mond at the time. Calvin is D’mond’s mother’s boyfriend. He is being held on $500,000 bond.